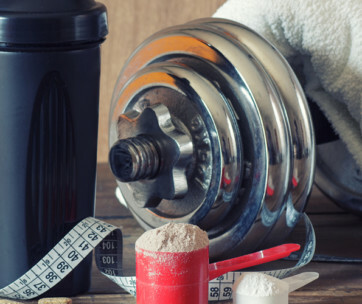 In a desperate bid to increase strength and gain muscle, many people opt to supplement their diet with varying types of protein powders, often choosing those containing whey. But just how great is whey powder? And are all proteins the same? And what are the benefits of plant-based protein powers over those that contain whey? Continue reading to have all those questions answered. The modern-day health craze shows no signs of slowing down. More and more people are opting to live healthier by doing away with artificial and processed food sources. However, a healthy diet requires all nutrients and vitamins in their right proportions. In healthy living, especially when you’re looking to build muscle, your diet must be squared right away; one way to do that is to choose the best form of protein. The right protein choice is a vital part of the puzzle when it comes having a great body. When choosing the right proteins, assuming that all proteins are alike is equivalent to saying all cat species are the same, which can never be the case. Although there are many sources of proteins, it is true, however, that ingesting plant-based proteins for muscle gain is somewhat unorthodox. However, multiple studies have discovered more benefits that will get you re-considering your choice. They have revealed that all the nutritional requirements of children, adults, lactating mothers, and pregnant women can be provided through a vegetarian or vegan diet and plant-based give you the same benefits, if not more than animal protein do. This includes less inflammation, improved bone health, and less bloating. The following points highlight the benefits you receive from plant protein powders, and why you should make that change now. Plant-based proteins can be derived from all plants; pulses, nuts, and seeds are known to provide a good amount of protein when mixed with a substantial source of carbohydrates. Even though all plants possess protein, the proportions are varied. For example, there is more protein in a Goji berry than there is in an avocado or a date. Although this may make access to the required daily amount of protein difficult, alternatives such as plant-derived protein supplements are considered helpful, as they ensure that you receive everything your body needs from a diet. For those with milk allergies or a lactose intolerant system, whey protein may be a terrible supplement choice. Bloating, gas, indigestion and abdominal discomfort are common effects people experience after consuming whey protein shakes. The reason is simple; whey proteins, since its derived from milk, can be hard on our stomachs. The discomfort occurs when our bodies have insufficient amounts of lactase, which is the much-needed enzyme for lactose digestion and breakdown. It is therefore advisable to ingest only plant-based proteins. Whereas whey protein causes the absorption of a backlog of nutrients that cause indigestion, plant proteins help you say goodbye to these stomach havocs, since they have no milk products, including lactose. As our bodies are designed to absorb nutrients and minerals from many sources even in those who experience allergies, thus, ingesting various types of plant proteins will not harm your system, but rather be of benefit. The presence of fiber and other digestive enzymes in these proteins instead aid your stomach in the digestion process. So why go through the constant pain caused by whey powders when healthier alternatives, like plant or vegan protein powders, are available? Some leading whey protein brands have been called out on the existence of high levels of deadly metals such as mercury, lead and arsenic in their protein shakes. Further investigation showed that the dairy cows from which the whey protein is derived, are fed genetically modified organisms, which contains high levels of heavy metals. Although many of these manufacturers are aware that GMO is not a natural diet for cows, they prefer it due to its affordability, often forgetting about their welfare. Some illnesses such as blood vessel damage and some cancers have been traced back to exposure to arsenic. Constant consumption of mercury can destroy brain cells while cadmium damages our DNA. This isn’t to say that meat-free protein powders have a free pass. Instead, since plant protein powders are made from grain free proteins such as hemp and peas, the risks are lower. If possible, try to find out from the manufacturers if they undertake heavy metal checks, which are sometimes compulsory for all protein manufacturers, depending on the country they are produced. Plant proteins are famous for their ethical and health benefits amongst vegans. 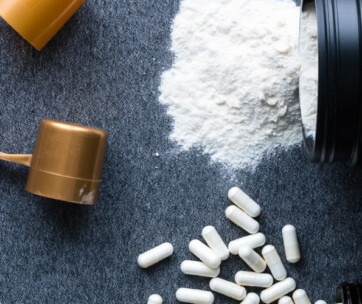 As animal-based protein powders are often made from numerous synthetic and animal sources, and as more and more manufacturers are putting profit above nature, this can ultimately harm both our health and the environment. Thus opting for natural and biodegradable protein powders is the way forward. Not only are plant proteins biodegradable, manufacturing them is responsible for the production of only about 1/10th of carbon emissions. As they are also known to consume less water during production, the drinking of plant-based proteins is considered a step in the right direction, especially in a world where many people are now realizing the bads effects of climate change. 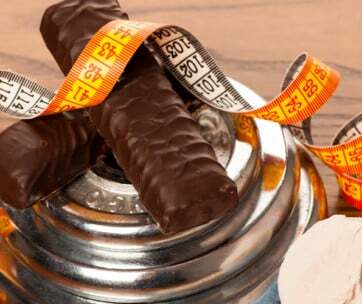 As proteins are the building blocks of the human body, ideally, it is often advised to consume enough protein amounting approximately to 15- 20% of our daily calorie count. An alternative way to calculate your required intake is to multiply your weight by 0.7. This will means consuming a large amount of protein. Although attaining these numbers are doable with animal-derived protein powders, you can put your digestive system under unnecessary strain. 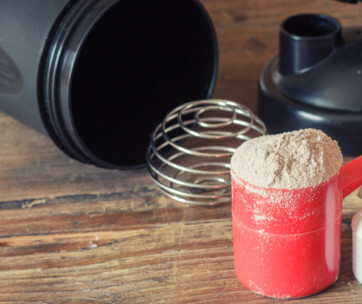 With protein powder supplements, it’s both natural and easier to absorb. Naturally, our bodies can only make use of what they’re able to absorb. 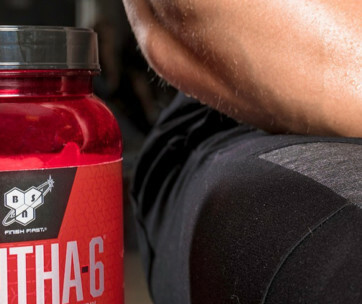 If you often experience some discomfort after ingesting whey proteins, take it as a sign from your body that it is struggling to break down its components efficiently. In effect, there is no way you will reap all the benefits whey protein possesses if you’re mildly intolerant to it. On the other hand, with plant protein powders, you can accomplish all your healthy living and muscle building goals without any allergic hindrance. These powders are an excellent choice for individuals with whey and gluten allergies. Plant-based options such as hemp protein, are composed of edestin and albumin, making them easy to absorb by the body. This means you gain value, both for money and your body. Who wouldn’t want that? With the above-mentioned points, we have established clearly that even though you may ingest 25g of whey protein, your body may only have the ability to absorb the only 20g of it. On the other hand, 25g of pea protein is more likely to be fully absorbed by the body; thus, giving you better results. When compared to whey protein supplements, pea protein has been discovered to promote faster muscle gains; this can be amplified further when a protein powder that is plant-based with an amino acid profile higher then whey is included in your diet. An extra number on the weighing scale is one of the secret fears many people have, especially for those trying to lose body fat without working out too much. When it comes to weight control and appetite, not all proteins are created equal. Increased metabolism, controlled cravings, reduced, and balanced sugar levels are just a few of the benefits consumers receive from plant-based proteins, specifically pea protein. Compared to carbs or fats, proteins take longer to digest and plant proteins carry a lot of fiber in addition to the protein count. As your body works on metabolizing the amount of protein ingested, it also works extra to burn all the excess fat you wish to get rid of. Scientific studies have discovered that plant-based diets are better for the correct functioning of the brain; this could ultimately mean that clearer messages can be sent to your brain when you consume plant protein powders for weight control. Thus helping you say no to that extra serving of dinner, and ultimately preventing that little jump you do when trying to fit into your favorite pair of jeans. Health and fitness experts around the world stress on the fact that protein is essential; our bodies stop functioning when it’s not in our system. For the longest time, whey protein has been seen as the best option of protein around. It is difficult to argue with this statistic, as whey possesses an excellent amino acid profile and high protein content. However, to yield healthy milk, the cows themselves must be healthy; thus, antibiotics and artificial hormones are commonly used for feeding. And when ingested by humans, the body absorbs these substances through the consumption of whey protein powders. The good news is that with improved technology and increased awareness, the marketplace is rapidly changing. 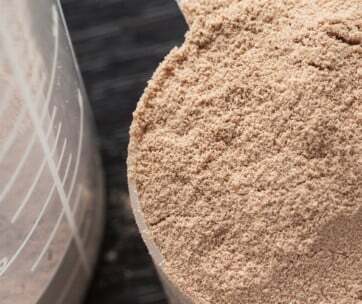 Healthier alternatives such as plant-derived protein powders are now available on the market.